If you feel trapped in the hole of bad credit, it might seem like it’s impossible to get the car loans you need. However, this is not the case. There are many ways to secure a loan on a vehicle, even if your credit is less than ideal. If you’re uncertain how to move forward, and are in need of some reassurance, online loan services such as LendingArch can help you. By matching you with the best loan option for your current credit situation, you can confidently choose the loan that will fulfil your needs. Credit scores below 660 are usually considered subprime. The reality is that just because your credit score is poor doesn’t mean that you arent to qualify for a car loan. The LendingArch dealership partners have been chosen specifically because they look beyond your credit score. They are able to evaluate you on your other factors such as income and employment history. As such, many people are able to get a car loan if they have bad or poor credit. But what do people in these situations do to get the car loan they need? You do have various options, you just have to be aware of the process and the different tips and tricks that come along with it. When you go into this process, it is important to know what to expect. If you don’t have the best credit, it is possible that you may have a higher interest rate on your car loan. By being prepared, you can shop around for deals to get the option that best suits your financial situation. 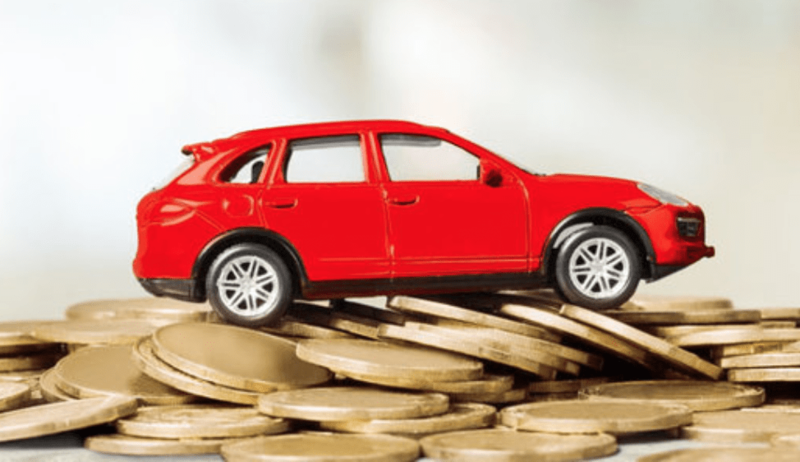 Going into any car loan process, it is also important to know what you can afford each month. You Still Have Negotiating Power! Don’t be afraid to negotiate a great deal. Although you lack perfect credit, you should not take any deal that comes your way. If you know your monthly income, you know what you can afford in a car payment. By calculating this amount beforehand, you can arm yourself with the knowledge you need to negotiate in financing the vehicle of your choosing. By negotiating the terms, you can wind up with a better outcome and a loan that truly suits your needs. We know that securing a loan with poor credit can be stressful, however, there are a few different action steps that can help provide a smoother process. You can use a “matchmaking” online loan service like LendingArch, possibly get a co-signer, and put a down payment on your vehicle. If you Google search “online loan services,” over 237 million results pop up. This is an overwhelming number of choices, and in the beginning stages of trying to get a car loan, it can feel daunting. LendingArch, Canada’s one-stop-shop for loans and credit cards, aims to help people in all financial situations gain access to the best options out there. We provide Canadians with online loans to maximize their ability to make positive, life-changing financial choices. We act as a “matchmaker” of sorts. Much like popular dating/networking apps, LendingArch’s platform can match you with various loan options that fit your current financial needs. Once submitted, our team will go to work evaluating your best options. They will contact you the same business day to let you know which lending partner or dealership is a good fit for you based on their own in-house speciality of financing for less than prime customers. We understand that you are more than your credit score, and so we have chosen dealership partners that have the same philosophy, this gives you have peace of mind knowing that we are on your side. The best part? Your credit will not be negatively affected when you’re matched with loans, allowing you the freedom to make an informed financial decision. LendingArch believes that regardless of your credit history, you should be able to access the loans you need to make your life easier. Getting a possible co-signer on your loan can help move the process along. A co-signer is a person who signs on your loan with you to show that you are both responsible for the repayment of the loan. Co-signers could be anyone close to you: a parent, grandparent, spouse, or even a friend. Using a co-signer can be beneficial because it shows the lenders that, if for some reason you cannot pay back the loan, they will still be paid back. You can build credibility with the lenders while getting the car loans you need. Using a down payment on a car loan can greatly improve your chances of getting a loan with bad credit. A down payment is a lump sum of money you put toward your loan to offer collateral to a lender. In some cases, putting a low down payment, as low as $200 can be enough for a lender to approve you for the car loans you need. If you have some time before you need to get your new vehicle, you may consider saving up a larger down payment, which can only increase the likelihood of getting approved for your loan. Getting a loan on a car with a less-than-perfect credit score doesn’t have to be overwhelming, frustrating, or difficult. You can have access to the loans that you need without taking a deal that doesn’t have your best interest in mind. Whether you’re spending time researching your needs, considering a co-signer or down payment, or looking into having LendingArch by your side, you are not completely limited because of your credit score. You can get the car loans you need today!